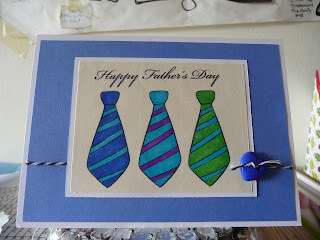 Queelister's Place: Happy Late Father's Day! Oh boy, I wanted to share this with you yesterday, but we ended up out of the house all day. 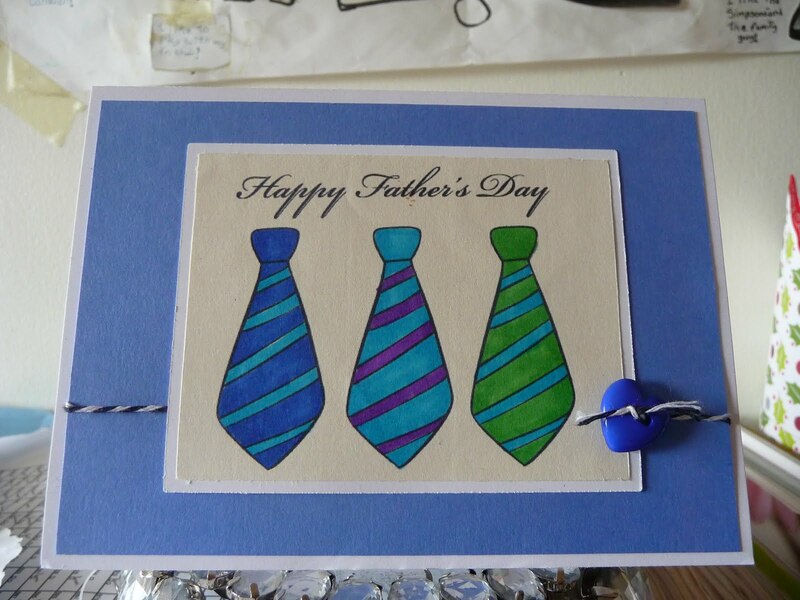 I was able to make 2 cards for Father's day this year, one for my brother and the other of course for my own father. The card I made for my brother uses the Digi shack Father's Day image. The store no longer exists, and I'm not sure where or if you can still find the image. The owner of this image can be found at http://kharliebug.blogspot.com. 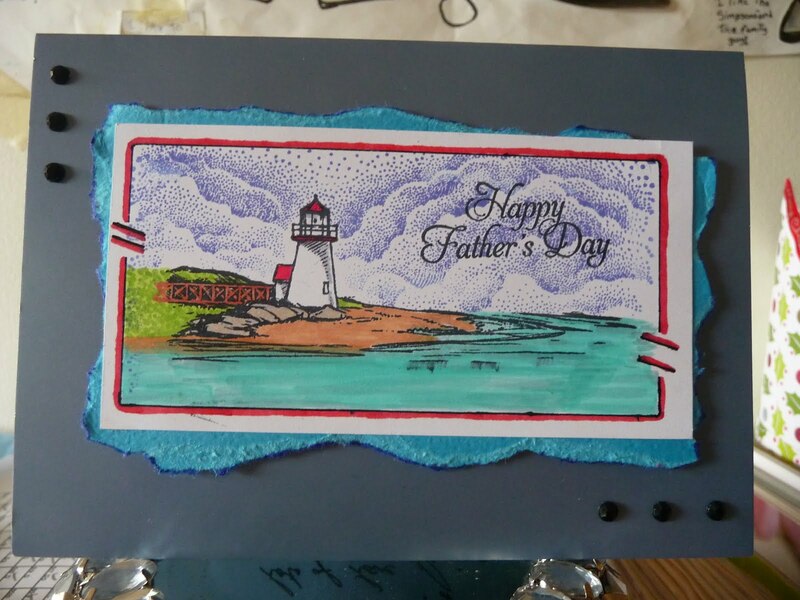 Here's the card I did for my Father, the image is from the stamp company Flourishes, and the stamp set is called A Guiding Light. I'm entering both cards into Bugaboo's Catch the Bug Challenge this week- It's a Man's World. 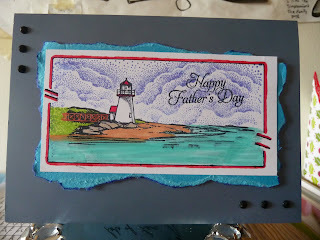 Also being entered into Stamping Boutique's and Stamp-n-Doodle, masculine theme challenge. These cards are fabulous! I really love the one for your father....that ripped paper behind the image is lovely! Thank you for playing with us at Stamp-n-Doodle! Both cards are great. Love the whimsical ties, but that lighthouse scene is a favorite - Nice job. Thanks for sharing with us at The Stamping Boutique. Your cards are beautiful in the second I love lot colorizing of landscape. Thank for playing with us this week at Stamp-n-Doodle. Gorgeous cards! I love the colors on the first card and the scene on the second is fabulous!! Thanks for playing along with us at Catch the Bug!